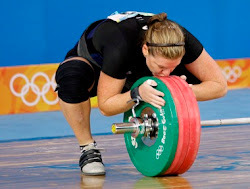 A blog by strong women who compete in Olympic Style weightlifting. We want to encourage, support, and inspire everyone out there to be the best they can be. Follow us on our journey as we help you along yours. Jessica is our 2016 Olympic Hopeful and Sarah is our 2012 Olympian in Weightlifting. 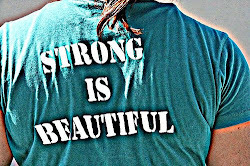 We're setting out to be "Pretty Strong" and we encourage you to do the same. "I feel that Jess and I are almost the same person, going through some of the same things just in different places. We both moved to a new home around the same time, starting a new life and leaving the old one in the dust. Being in a completely new training environment, not knowing what to expect. Get new boyfriends around the same time, who both were cross fitters. Blahhhhh. Who we continued to date for not even a year. Which brings us to where we are now…both just getting over breakups, for pretty much the same reasons. Both ready for something new crushing on that one particular guy. But wait. There’s a problem. It is one of the biggest self esteem killers for me, to like someone who doesn’t like you back. I mean hello….look at us! 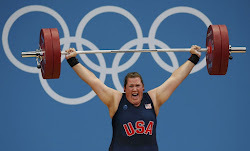 Were some of the strongest women in America. We are two beautiful and independent ladies!! ( I just sang I.N.D.E.P.E.N.D.T by Webbie to remember how to spell that J) Coooooome on. It makes you go crazy sometimes. You sit there and think about dumb things of why they don’t like you. “Well maybe he doesn’t like my style.” “Omg is it because I still sleep with a stuffed alligator at night?” “OH! He totally hates my singlet.” Am I not pretty enough for him?….no no no that’s not it.” Like seriously. And I hate to admit that I even think about petty stuff like that. 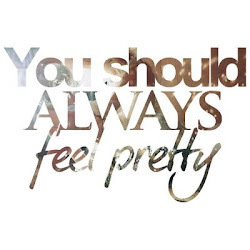 But all girls do. Its not a good feeling wanting someone so badly and them not feel the same way about you. I let it eat at me sometimes its so annoying. Ill be in the middle of a practice and im just like uuuuggggghhhh. Sometimes it will just put me in a weird mood. Like im not mad or usept…just kind of blah. I get on face book and have like 5 messages. I get excited “omg maybe its him! !” Wrong. Instead its this old guy that is a fan of your lifting, foreign lifters that found you because of HOOKGRIP. Thanks Nat. Random guys that you don’t want anything to do with, and of course a few creepers. I mean seriously. I just got excited for nothing, and then it puts you in kind of a funk. Same with texts. Your phone is constantly blown up with guys that you felt bad for but give them your number anyways. Guys that are just friends, or x bfs. But not that one guy. And of course you aren’t going to text them first, I mean you don’t want to be “that girl” that just doesn’t get the hint. The one that constantly blows up his phone. Hell no that’s not me. I can wait forever before I text a guy first. But when he does text you….you are a completely different person. You go from hating the world to kissing babies in the matter of seconds. Its amazing what a guy can do to you. After going through a break up, I always make sure that I find myself. That I do things for me, and no one else. That I focus on whats best for me. And if a boy that is worth my time comes along, then cool. Maybe ill give him a shot. So heres my new motto for life. I (state your name). Am going to be that girl that every guy wants, and every girl wants to be. Im living everyday to the fullest so get out of my way. If you don’t like me, I don’t care. 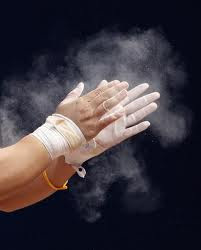 I am going to be an amazing, beautiful, badass weightlifter. On top of that the most independent women you have ever met, and im not letting anything, especially a boy get in the way of my dreams. I don’t care how long his hair is. (that’s my weakness) Im going to be fabulous not only in the weight room but on the outside also. And break some American Records, and make a few World teams in the process." My new PR and sights set on London in 2012! Addressing the consequences of a difficult choice.